Facebook Ads vs boosted posts, which is better? This is a common question among Facebook page admins. 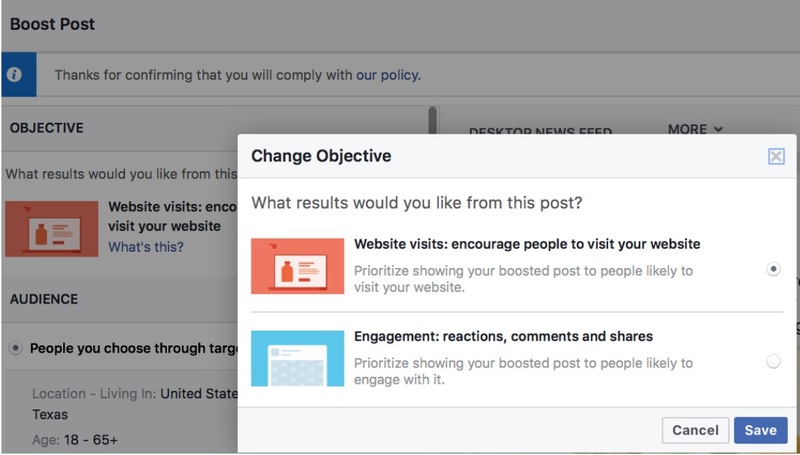 And even if you’re relatively new to all this, you will eventually see a notification popping up encouraging you to “boost a post.” The reason being that the post may be high-performing, or Facebook’s algorithms may have found that it’s similar to content other page admins have boosted in the past. 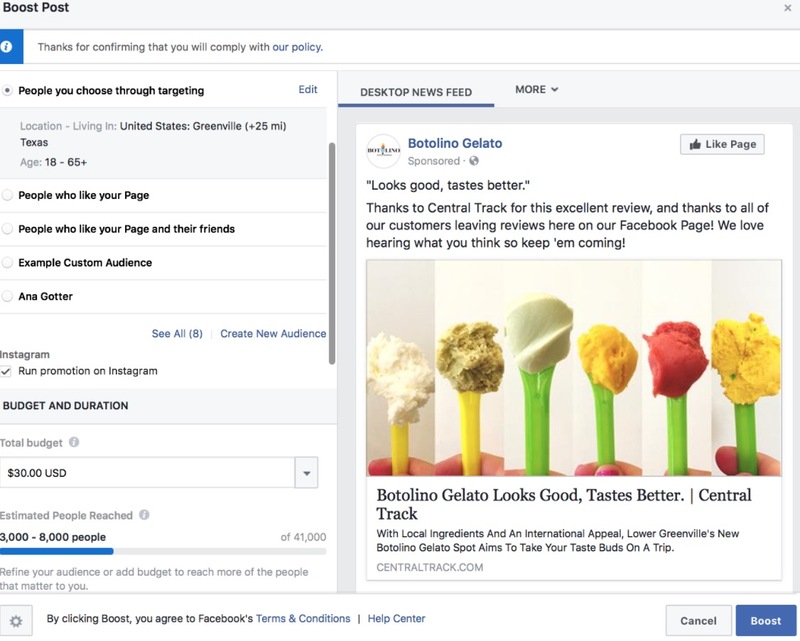 In short, the ability to boost posts is a simplified extension of the Facebook Ads system. It was designed to be less intimidating to small business owners who were overwhelmed by the full ads system and all the options it offered. Simpler doesn’t always mean better, however. The simplicity of boosted posts comes at the cost of the significant customization the full ads system offers. What are boosted posts on Facebook? The boost posts feature allows you to choose a post that’s already on your Page’s timeline and promote it. You’ll choose a target audience, a total budget, and the duration you want it to run. Your other Page admins can also do this, but only if they’ve been given access to your ad account. Boosted posts focus on maximizing visibility for that one, single post and getting as much engagement on it as possible. This can be good for brand awareness, and the boost in engagement can provide valuable social proof. Since plenty of engagement can mean a lower CPC or CPA, you could get more results for the same investment. Thanks to a recent update, you can also choose to encourage people to visit your site. If you choose this option instead of engagement (likes, reactions), your ad will be shown to people most likely to click. This option is only available if the post you’re boosting contains a link. The interface for boosting posts is much simpler, and you don’t have nearly as many choices to make. For many small businesses, this is preferable; while it takes me about eight minutes minimum to create a pre-planned ad campaign through the full system, it only takes me about sixty seconds to boost a post. What can you do with Facebook Ads vs boosted posts? Having plenty of objective options. Choosing an ad objective early on will help you to focus in on what you want the campaign to be. Boosted posts only allow you to focus on website clicks or engagement, but the full ads system lets you choose objectives like store visits, conversions, and lead generation (which comes with mobile-friendly lead forms). There are campaign types you just can’t create through boosted posts. 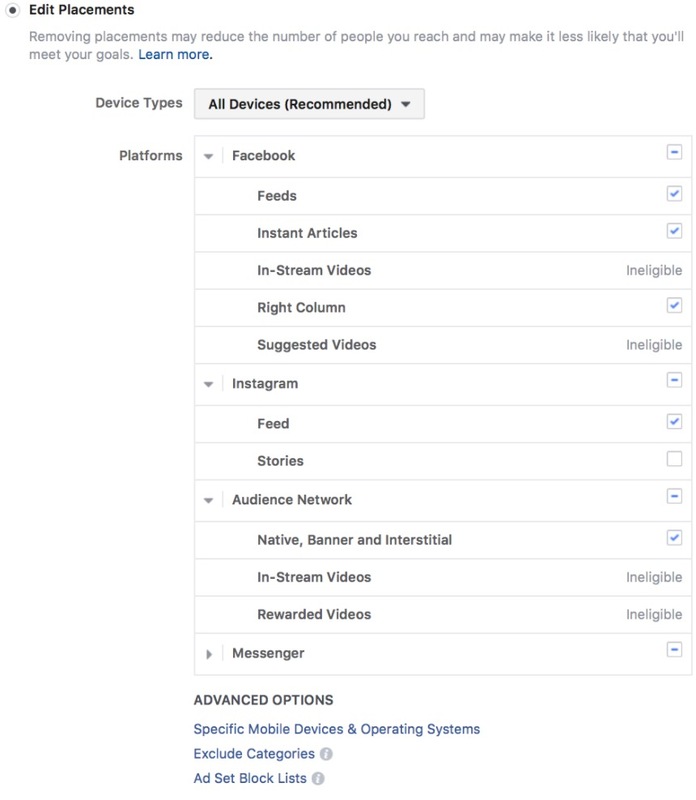 This is significant because Facebook uses your chosen objective to show your ad to users who are most likely to take whatever action you’re optimizing for, based on their user history of activity. Boosted posts just let you check or uncheck an Instagram placement; desktop and mobile Facebook newsfeed placements are a given. 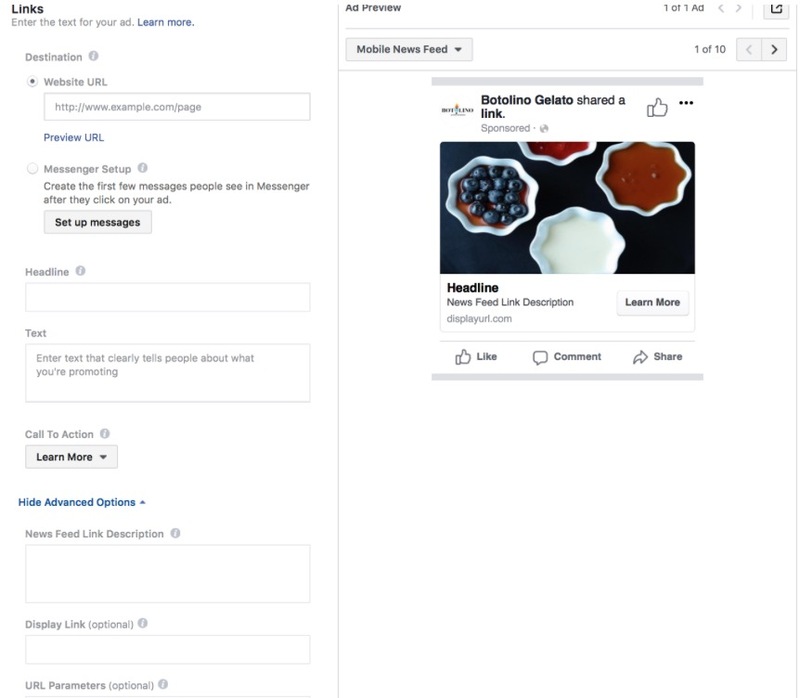 Facebook Ads let you choose placements including Facebook newsfeeds and side ads, Instagram feeds, Instagram stories, instant articles, messenger ads, and audience network ads. You can also choose if you’d like your campaign to be shown to mobile or desktop users only. Allowing for more targeting customization. 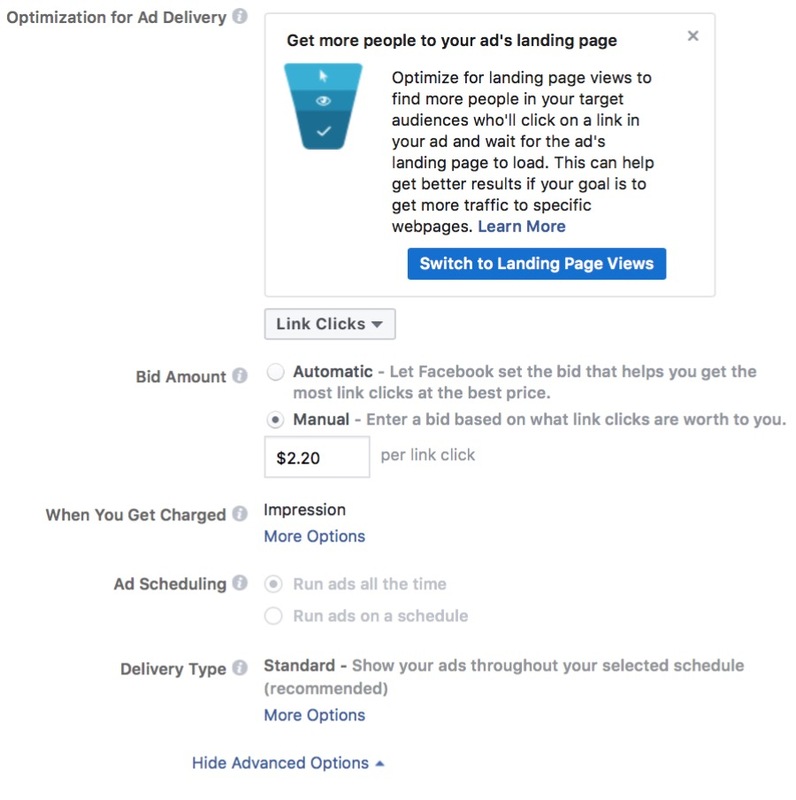 Facebook Ads let you dig deep with manual bidding if you so choose. You can choose a maximum average bid, or a maximum per-bid rate. You can also choose what you want to pay for (impressions or clicks, for example). 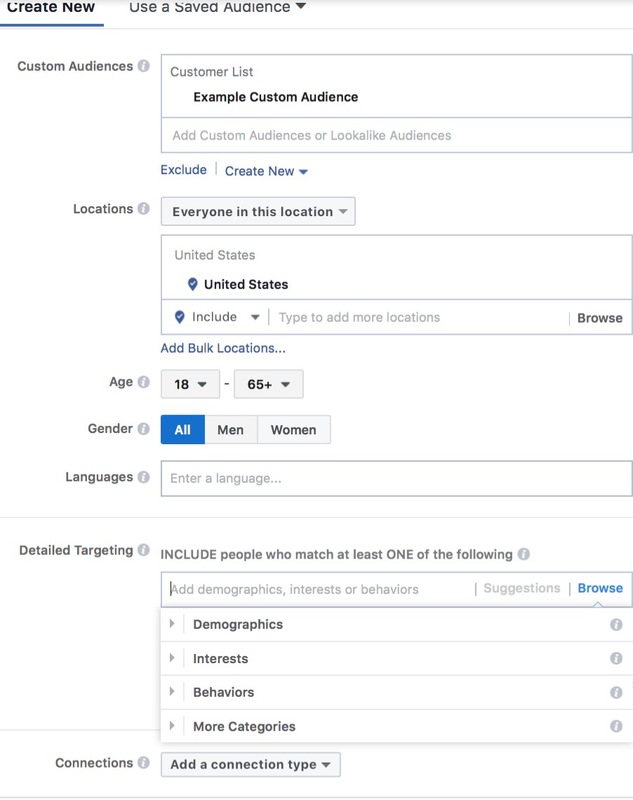 Since you can use these strategies to scale your Facebook Ads, this is a small but significant feature to keep in mind if you choose to use it. Create carousel ads, add headlines and descriptions, and choose the CTA button you think will work best for you. These are all creative and formatting options that you couldn’t utilize with boosted posts. 99% of the time, Facebook Ads will be the right choice over boosted posts, even if you aren’t familiar with the system yet. There’s so much more flexibility. Even the ability to choose the exact objective you want your ads to be optimized for will give you more results. With Facebook Ads, you can create a video awareness campaign. Then, you can retarget people who watched 75% or more of that video, and hit them with a lead ad that automatically fills out most of their information. Once they convert, you can retarget users who have visited your site to show them items similar to what they’re interested in buying with high-converting carousel ads. The options are endless, and so is the potential of Facebook Ads. It’s also worth noting that Facebook Ads has the potential to get you incredible results at a relatively low CPA or CPC. When should I use boosted posts? Email amy@440marketinggroup.com and learn more!